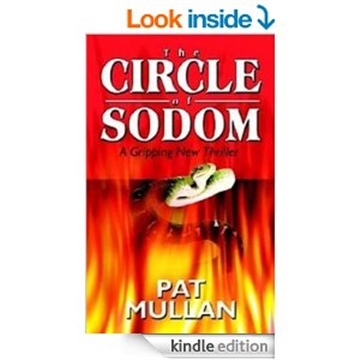 Pat Mullan was born in Ireland and has lived in England, Canada and the USA. He is a graduate of St. Columb's College, Northwestern University and the State University of New York. Formerly a banker, he now lives in Connemara, in the west of Ireland. He has published articles, poetry and short stories in magazines such as Buffalo Spree, Tales of the Talisman, Writers Post Journal. His poetry appears frequently in the Acorn E-zine of the Dublin Writers Workshop. His short story, Galway Girl, was short-listed for the WOW Awards and was published in the new WOW Magazine in Galway in April 2010. It is also one of his short stories that form part of his GALWAY NOIR anthology, available on-line from iPulp Fiction. He has two collections of poetry available on-line, Childhood Hills and Awakening. James Dickey's Poetry: The Religious Dimension is his elegy to Dickey and is available on-line on Amazon Kindle. Recent work has appeared in the anthology, DUBLIN NOIR, published in the USA by Akashic Books and in Ireland and the UK by Brandon Books and again in 'City-Pick DUBLIN', published by Oxygen Books in 2010 to mark Dublin being chosen as UNESCO'S City of Culture for 2010.